Plate Service Center | HTMS S.A. The Plate Service Center is located in Turkey on 19.000 sqm closed, total 46.000 sqm area. 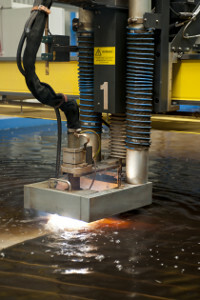 Plasma cutting is fast and efficient to use compared to others. Underwater cutting property helps to minimize the heat affected zone. 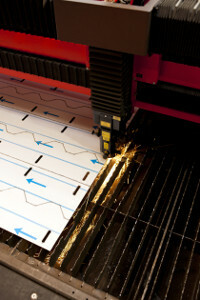 Laser cutting provides high quality precision cut with error free results and a high level of accuracy. The process also eliminates the damage heat will cause on the material by using gas and laser. 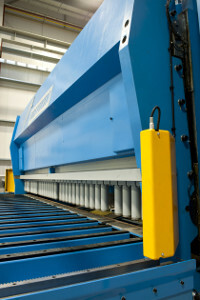 Giant hydraulic guillotine has cutting ability up to 34 mm in stainless steel plates.